WPP is reacting to top marketers' calls for their agencies to change by delivering more agile and creatively-driven agency structures, Sir Martin Sorrell has told the ad industry. Speaking at Advertising Week Europe today, Sorrell acknowledged the wishes expressed by the likes of Procter & Gamble chief marketing officer Marc Pritchard and his Unilever counterpart Keith Weed. "What Marc Pritchard and Keith Weed are signalling, and other advertisers have signalled, is that we have to be more responsive, more agile, less bureaucratic, less layered, more principle-driven, in the sense of driven by creative principle," Sorrell said, by satellite link from New York. "One of the things we pointed out to Marc in our discussions with him … there were two things. First it was pointed out that about 50% of what we do is "creative" and the objective was to move that to 75%. So 75% of the time we spend should be around the creative product of our craft rather than being strategic, account management, or whatever it happens to be. "The other thing was, we pointed out, that often what we had what was termed, I think by the Americans, a 'buddy system'. The client has x number of people, the agency feels obligated to field x number of people in response. Not having to match the structure was increasingly important." 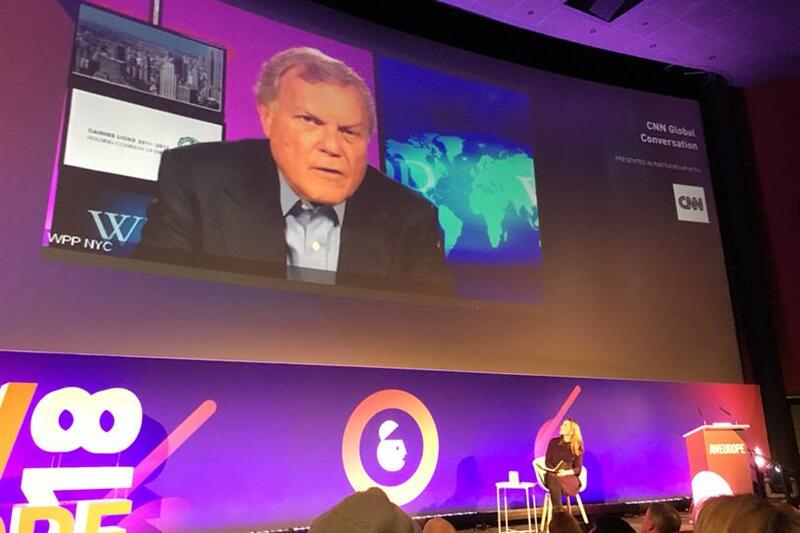 The resulting development can be seen as WPP’s response to the rise in popularity of zero-based budgeting among clients, Sorrell suggested. "I would just point out that we have in those parts of our operation put together what we call a ZBB agency response, which is much less bureaucratic, much less layered, much more creatively-driven, much more principle-driven in terms of the people who are running it, much more agile, much more responsive. And the results, even in financial terms, quite apart from effectiveness and efficiency, even in finanical terms are as good or better than our traditional models." Sorrell was interviewed by CNN Money Europe editor Nina dos Santos, who asked him whether it was possible he could be succeeded by a woman. "Not likely, but possible," Sorrell replied cagily, ever reluctant to let details slip of the group’s succession plans. In contrast, Sorrell rated the chances of seeing further consolidation in the marketing services industry as "highly likely", especially if led, as seems likely, by further consolidation among media owners. But WPP’s acquisition focus would continue to be on small companies in fast-growth markets and in fields including data, technology and content, he added. Dos Santos also asked, in light of further revelations about Cambridge Analytica, whether Sorrell had revised his opinion on whether Google and Facebook should be regulated. "At the end of the day I would be in favour of self-regulation rather than forced regulation. To be fair to Google and Facebook, Google are in the process of hiring 10,000 people to moderate and follow content. Facebook I think are hiring 20,000 people," he said. Sorrell's appearance today follows WPP stock-price tumble earlier this month in response to underwhelming financials and its decision to cut its long-term earnings growth target. At the time Sorrell said "the traditional creative business is where the pressure is" and it is "less" on the media agencies, while admitting embarassment over WPP's missed revenue targets in 2017.